If you have been considering ways in which you can improve and customize your home, you should contact a professional for help. At Allpro Contracting, our Elmhurst remodeling contractors are ready and eager to assist you. We are highly skilled at both interior and exterior remodeling projects. We specialize in constructing driveways, walkways, decks, and patios in Elmhurst, IL. Our team has assisted countless local residents with their kitchen and bathroom remodeling efforts over the years. We have been in business since 1962. Throughout this entire time period, our professionals have had one simple goal. In every service that we provide, we strive to achieve the highest levels of customer satisfaction possible. When you hire us for your next remodeling project, our Elmhurst remodeling company promises to bring this dedication to excellence to task for you. Call Allpro Contracting today for all your interior and exterior remodeling service needs in Elmhurst. Our professionals handle every size task with the same attention to detail and care. We will work our hardest to help you achieve all of your goals. Our polite staff can schedule your consultation today. At Allpro Contracting, our Elmhurst remodeling contractors specialize first and foremost in concrete paving and hardscaping services. Your driveway and walkways have a tremendous impact on how you use and enjoy your home. They define the first impressions that your friends and guests form about your residence. With the help of our experts, you design and construct a walkway or driveway that will work best for you and your family. In addition to our concrete paving services, our Elmhurst remodeling contractors are also highly skilled at constructing wood and composite decks and fences. 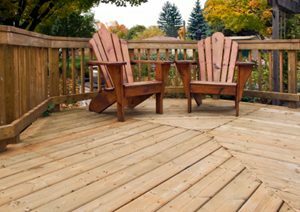 A custom designed deck is the perfect place from which you and your family can enjoy your entire property. A beautiful decorative fence can improve the sense of security that your loved ones share in your yard. Our professionals can provide you with the best looking and most functional deck or fence possible. The roof of your home is absolutely essential to the comfort and security that you enjoy within your residence. At some point in time, every roofing system needs to be replaced. If your roof is nearing the edge of its service life and is in need of repairs, you should call our remodeling team for help today. Our Elmhurst remodeling contractors specialize in roof installation services. With our assistance, you will choose the new roofing material best meets your aesthetic goals. Our team will install your roof in the most expert manner. You will be pleased with the results for decades to come. If you are looking for a professional Elmhurst remodeling contractor for patios, driveways or other interior and exterior services, then please call 708-658-3500 or complete our online request form.